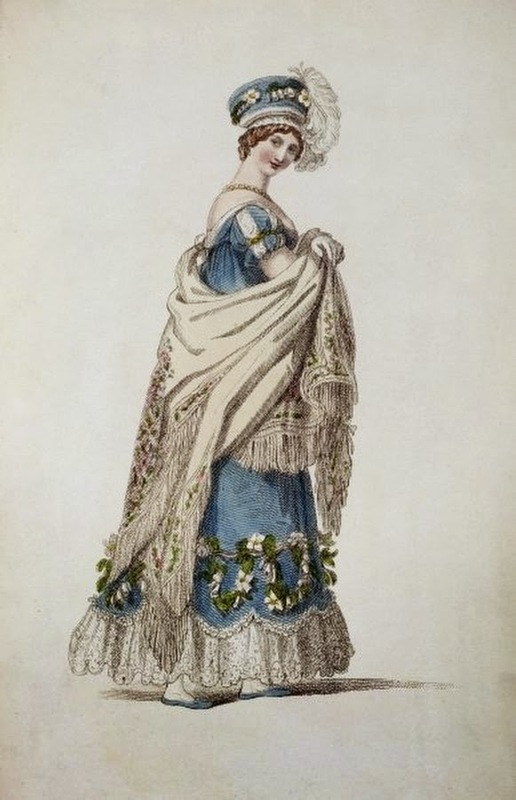 Over the years, I have shared with you many beautiful fashion prints taken by Ackermann's Repository, a British periodical popular in the first few decades of the 19th century. Every time I browse the pages of the magazine, and stare at its pretty images, I can't help but think of the man who made it all possible. His name was Rudolf Ackermann. The six child of Barthel and Justina, he was born in Stollberg in the Electorate of Saxony, on April 20, 1764. Rudolf attended the Latin school in Stollberg and would have loved to further his education by enrolling at university, but the family couldn't afford the expense. So, Rudolf was forced to become a saddle maker, like his father. He began his apprenticeship at 15. That job didn't satisfy Rudolf. He had always been passionate about drawing and needed a profession where he could nurture and use his skill. So, at 18, he became a carriage designer. 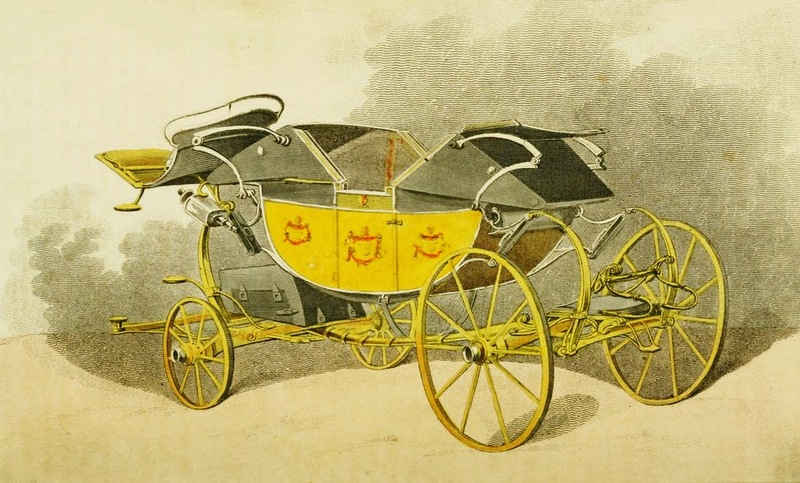 He learned the trade in Dreden and then moved to Switzerland, France, and London, where he designed carriages for some of the most important and influential people of his time, including the Lord Mayor of Dublin and the American President George Washington. With success, came money. 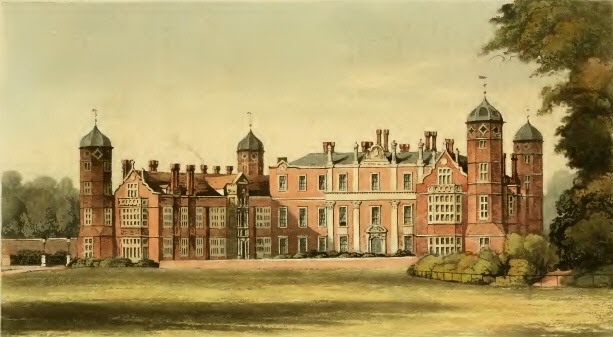 He was now able to support a family and married an Englishman called Martha and had nine children with her. Just as important for him, money allowed him to dedicate himself to his passion for art. 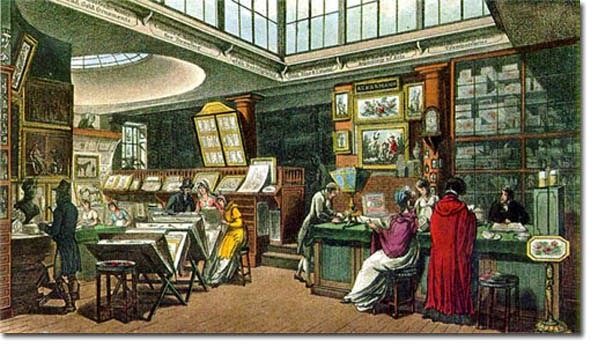 In 1795 he opened his first print shop where he sold prints, books, and all kind of supplies for artists. His success owned a lot to his early adoption of gas, which allowed visitors and clients to peruse the prints in shops and the exhibitions he held there even when natural light was faint and fading. Soon, many other shops followed suit. Business went so well that Rudolf decided to commission original prints from the most famous satirists of his time, such as Cruikshank and Rowlandson, and sell them in his shop. 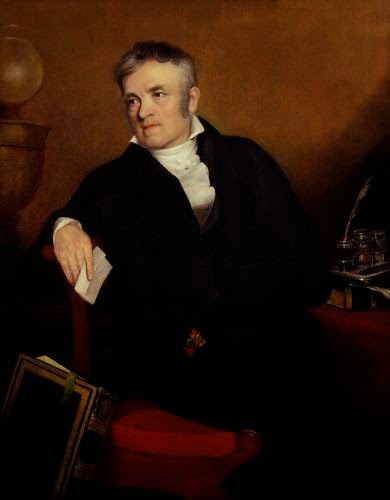 He even published several art books and, in 1809, the first edition of his Repository of Arts, Literature, Commerce, Manufactures, Fashions, and Politics. What a mouthful! And yet, these were only a few of the topics discussed in its pages. 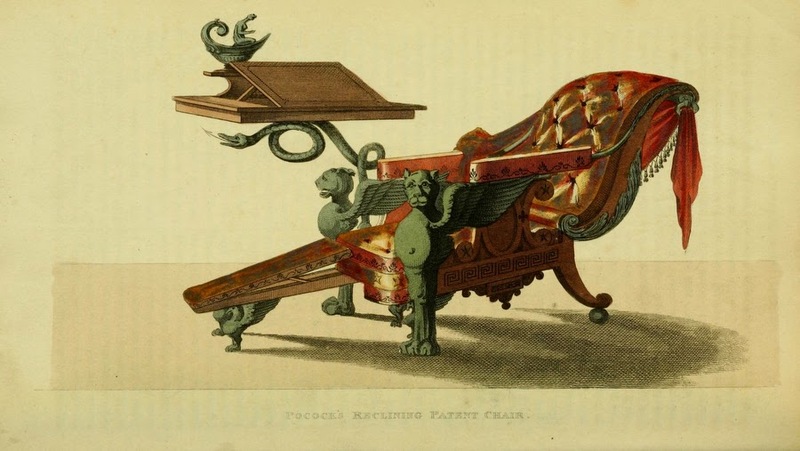 Of course, the magazine featured many beautiful pictures that illustrated the new changes in fashion, both in dress, furniture, and carriages. Portraits of celebrities and drawings of famous places also ornamented its pages. A new issue of the magazine was published every month until 1829. There are about 40 in total, featuring all together about 1500 prints! But then, the Repository had to close. Rudolf had simply stretched himself too thin. In addition to the magazine, he now owned several print shops in London and South America. He even patented a method for rendering paper and cloth waterproof and built a factory to make it. He worked so hard that, eventually, his health broke down. A few months after he closed the magazine, he had a stroke that left him paralysed. He died a few years later, in 1834.